Displaying printed material for easy distribution has never been easier with 200m2’s range of portable displays. Easy to assemble and transport thanks to innovative hinged mechanisms and padded carry cases, our comprehensive range of displays will enable you to stay ahead of the crowd at your next exhibition. 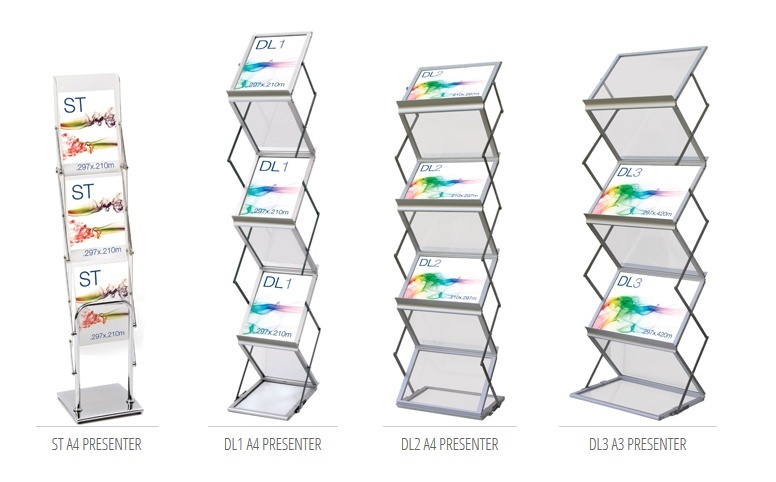 Our range which includes portable literature presenters and brochure holders, provides you with an easy way to display your literature in an organised and attractive manner. Perfect for product launches, conferences and exhibitions!